Blackjack Basic Strategy – Is It Important? From Bill Zender’s email discussing his upcoming activities and events. I hope everyone is doing well. First off, I want to give the University of Nevada Reno’s Extended Studies course in Casino Management a recommendation, especially the Table Game Management course that is scheduled to be held in Reno Nevada September 18th thru 21st. Earlier this spring the course was pushed back to September because it lacked participants. I’ve been involved with this University of Nevada program for the past fourteen years, and I feel that it is the best casino management program in the country, if not the world. The week session in which I will be participating, features two other individuals involved in that week’s presentation whom I believe do an outstanding job. On Monday, September 18th, Bob Ellsworth presents a session regarding the overview of casino table games. Bob Ellsworth shows the students all aspects of table games and procedures that the gaming professional needs to understand in order to operate an efficient table game operation. On day 2, September 19th, Bob Del Rossi presents an outstanding session on table game protection. He covers all the common methods used to attack table games, and drills down into the different “indicators” that table game and surveillance personal need to identify in order to catch and stop both legal and illegal intrusions. On September 20th and 21st, I conduct my presentations on table game mathematics and methods for better managing table games (see descriptions of those session below). As you can see, the four days of table game training are quite invaluable to the novice table games and surveillance executives, as well as the more experienced individuals looking for ways to improve their operations. Second, I want everyone to know that you have a rare opportunity in August and September in which I have plenty of weeks open to conduct work. If you are considering in-house training sessions on game protection, or areas table game management, please contact me. Right now I have about six weeks open this late summer. It’s also a golden opportunity to have me come to your property to conduct a table game operation evaluation. I have conducted a number of these evaluations over the past several years for several casinos throughout North America. If you want to know how to better position your table games to be safer, and at the same time create opportunities for greater revenue potential, please let me know. Remember, I always have time to conduct “winning” player evaluations. Just recently I conducted an evaluation on some high limit Pai Gow tiles play that indicated that the players involved were passing along hand information in order to determine the dealer’s hand. Sometimes it a good thing to get a second opinion. Blackjack Basic Strategy: Is it Important? During a casual discussion with a table games manager in a Northwestern casino, he asked me how important it is for the floor supervisor to know basic strategy. His contention was that since most ratings systems in blackjack don’t require a player skill evaluation, he didn’t understand why the floor supervisors should learn basic strategy and be tested on that knowledge. He also related that his casino had recently given all floor supervisors and pit executives a basic strategy test, and the result was dismal at best. He also experienced a lot of negative feedback from his staff regarding being tested in the first place. Is knowledge of the “exact” plays regarding basic strategy really that important? Based on my 40 years of experience in blackjack as dealer, floor supervisor, casino executive, professional level advantage player, and a game protection expert, the answer is YES! 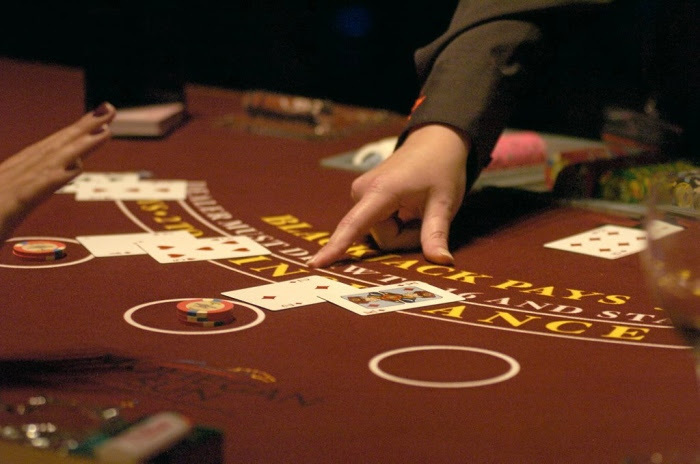 The foundation of the game of blackjack is anchored around the customer’s ability to make hand decisions accurately. Without knowing how the customer should play each and every hand decision, the floor supervisor, casino executive, and surveillance operator will not be able to determine a customer’s level of blackjack skill. Subsequently, they will be unable to detect most situations of advantage play and cheating. 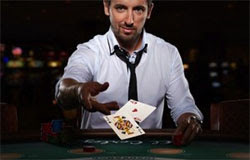 Experienced blackjack customers use two different types of strategy to play their hands; (1) basic strategy, the computer calculated best hand strategy based on the player’s two-cards (or sometimes more) and the dealer’s up-card, and (2) common strategy, the more popular strategy derived from some understanding of basic strategy and table observation of other players. I will go out on a limb and suggest that approximately 90-95% of all blackjack players use common strategy when deciding how to play their hands, and only a small percentage of players (1-2%) use perfect basic strategy. What the floor supervisor, casino executive, and surveillance professional need to be able to do is identify which strategy style each blackjack player uses. Customers who use a common strategy are normally no threat to the casino while basic strategy players know more about the game than the casual blackjack player, and may extend their knowledge further into areas of advantage play, and possibly cheating. Following is a link to a blackjack strategy examination I have created. The purpose of this examination is to determine whether your table game or surveillance employees can spot the difference between a non-threating blackjack customer who uses a common strategy, or that of a potential threating customer who follows basic strategy. The link to the blackjack strategy examination and answer sheet are as follows: Blackjack Strategy Examination. Please feel free to download and use this blackjack strategy examination at your property. If you have any questions, please don’t hesitate to contact me. Note: A professional level card counter will use basic strategy 4 out of 5 hands while deviating that one hand out of five based on the count. Advantage players will also use perfect basic strategy, however APs obtaining the dealer’s hole-card may use neither basic nor common, but exhibit hand strategies based on advanced knowledge of the hole-card. Cheaters will use basic strategy up until the point where their cheating technique require them to do otherwise. The cheater uses basic strategy to give back the minimum amount of money to the casino until they can apply their illicit trade. Why can’t we beat this guy!!! Here is an email correspondence that needs to be passed along to everyone on my email list. I received this email from a casino executive regarding a winning higher limit player in blackjack. For a consultant like myself, this type of email is very common. A higher limit customer is winning a large amount of money, and upper management does not understand why anyone could be beating the house, especially if the house losing streak has continued through several of the customer’s visits. The executive’s question and my answer to his situation are as follows. I believe I know the answer to this but it would be great to hear it from the expert. Assuming we can rule out collusion, card marking, card counting, and shuffle tracking. 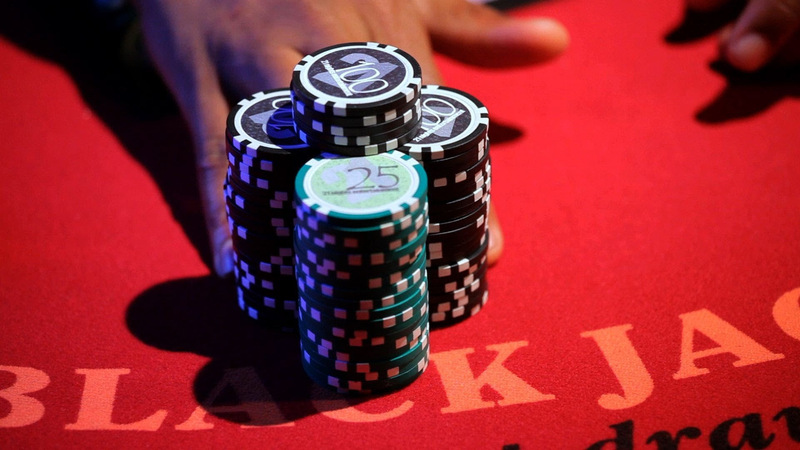 Can a player with a large bankroll overcome the HA by only attempting to win a small amount. We are under new ownership and I would like to give the new ownership some piece of mind other than “it’ll come around”. We have a handful of regular, well known, lifetime losers with that play style. They will win 20K several days in a row and historically will blow 200-300K when they lose. We are playing unlucky in 2016 with our top 3 players and the questions are coming in. There hasn’t been any rule or procedural change. I look forward to hearing from you. Don’t think for a moment you are the only Table Games Director with this problem. I guess the basic answer is that some players win for periods of time, and that’s why it’s called “gambling”. There will always be an “element of uncertainty” in the business. Statistically, within 10,000 hand decisions in a game like blackjack, 16% of all players will be below -1 standard deviation. This usually means those players are beating the casino, and doing so while still playing against the casino’s natural mathematical edge. Taking the normal distribution curve further, 2-3% of your players will be winning below even the -2 standard deviation point. If you have 100 higher limit players, based on statistics, two or three of those players will be big winners. What I usually suggest in this situation is that you use two primary strategies; first, conduct an evaluation of all possible and logical ways of gaining a player’s edge over the game in question. In blackjack that would be card counting, hole-carding, location play, marked cards, collusion, etc. Put together a concise report to present to upper management with your findings that nothing can be detected. Second, go back historically and build a profile of the player or similar past players to show that the games will “turn around” eventually. Be sure to point out periods when a player has lost back a lot of his winnings. Players who gamble with an advantage or down right cheat, do not gamble back a large percentage of their past wins. I would use periods of loss-back of 50% of previous winnings or better as strong evidence the player is a desirable gambler and not playing with an advantage. Another course of action could be the need to “educate” non-table games executive in the games and the slime mathematical edge of the games. Right now with your region’s BJ rules the average high limit BJ player is subject to a mathematical house advantage of 0.3% to 1.0% depending on how good or poorly he makes hand strategy decisions (baccarat is around 1.2%). In comparison with slot machines, the average slot machine “floor PAR” in your region is about 10-12%. Statistically speaking, the average 1% H/A% player could be winning at maximum risk after about 8,000 hands while the guaranteed win point is around 40,000 hand decisions. If the BJ player was a good hand strategy player and drove the expected H/A% down to 0.5%, the maximum risk and guaranteed win point could be as much as 16,000 hands and 80,000 hands respectively. There’s my two cents on the topic. If you want me to conduct a player evaluation, let me know, and if you need me to conduct a table game evaluation at your casino, feel free to contact me so we can set something up. Take care and good luck with your situation. I am still considering conducting a seminars on the cost of casino promotions along with a section on Dead Chip/Rolling Chip programs somewhere in the USA, preferably in Las Vegas. I’m also looking to conduct another Optimal Baccarat Seminar somewhere in the East or Midwest. Please watch for future eBlast to find out what seminars, dates, and locations will be offered. Summer is a slower time for me so if you are looking for a game protection or table game management seminar, or need your table games evaluated, this is the perfect time to contact me. Right now all my available time slots in July are filled, but my schedule is wide open for August and September. If you have any questions, let me know wzender@aol.com.